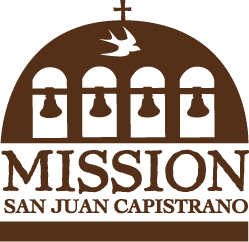 This is only a partial listing of Mission San Juan Capistrano’s Native American collection. 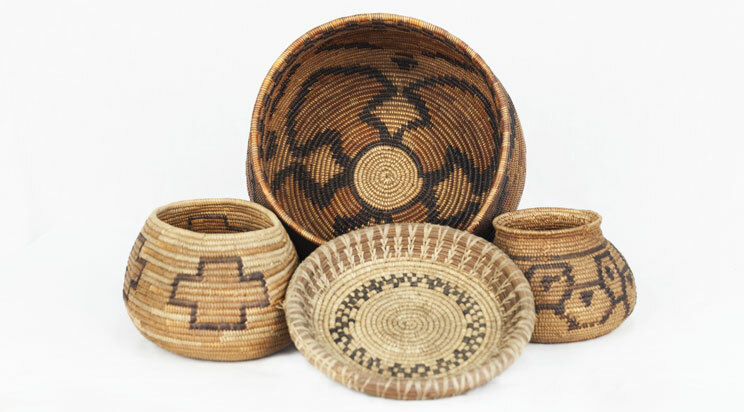 Olla shaped baskets such as this one were originally intended to store grain but later were made more for the tourist market as fine Apache baskets are very valuable. This Apache basket was made in the early 20th century. The skill of Navajo weavers made blankets such as this one highly valuable a sought after. Nicknamed “chief” blankets because of their value, they were meant to serve both as a blanket and to be worn. Early examples of chief’s blankets, called “first phase” were woven with simple striped patterns but later second and third phase blankets had more elaborate patterns and colors. This blanket dates from the mid 1800’s. Many Native groups throughout North America used this type of basket to harvest seeds from plants. 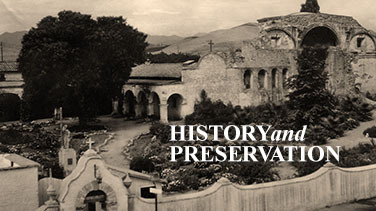 This example was made in the central California area in the early 20th century. 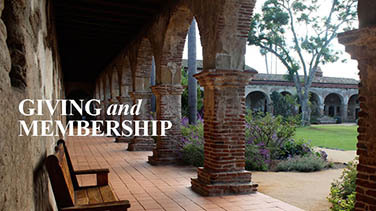 The Acjachemen people who lived in this area prior to the arrival of the Spanish provided the labor to build Mission San Juan Capistrano and were its earliest residents. The museum collection is fortunate to have a number of stone tools as a reminder of these founders. This mortar dates to before the Mission period.